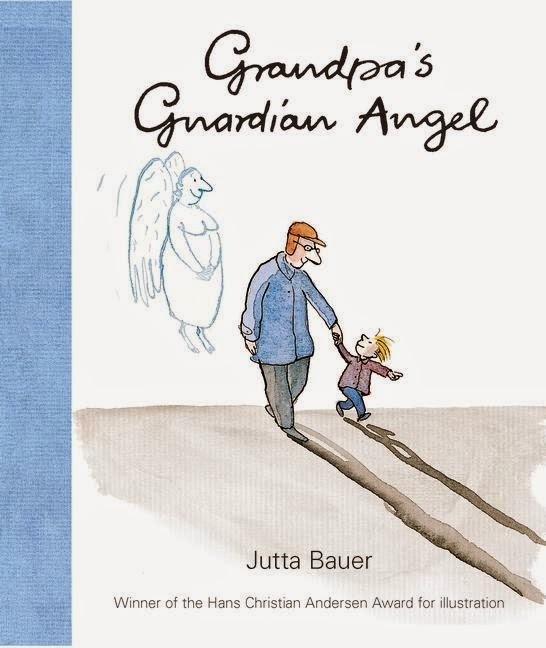 From the 2010 winner of the Hans Christian Andersen Award for illustration comes a poignant story of the close relationship between a boy and his grandfather for the 7+ age group. Grandfather tells the boy about his life. The stories he relates are ones of hardship, war and lack as a child. Exposed to many dangers, he always came out safe and well. As he grew older his life had always been a relatively happy one. Unbeknown to him, he had a guardian angel always watching over him. Now, as the sun sets over his life the guardian angel moves from the old man to the boy as his protector. The illustrations express what words have left unsaid. Jutta Bauer as author and illustrator has used a unique technique where the text and artwork adjust to each other by picking up where the other leaves off. Soft watercolours with pen and ink on fine quality paper enhance the message of love and protection by the seen and unseen, the things we know about and those we don’t.